All of Barb's Wood Signs are handcrafted at our custom facilities in Sherwood, Oregon. Each sign is painted and stenciled by hand. Solid pine is used as the medium, and because of this, each sign is unique in appearance. Some may have knots, cracks, or various imperfections that aid in the vintage look of the signs. All signs have a distressed look with sanded edges and various degrees of worn lettering. Barb's Wood Signs are easy to hang as each sign has two saw-tooth hangers attached to its back. Barb's Wood Signs offers three categories of wood signs: "off the shelf", personalized and custom. Barb Agnew was practically born with a hammer in her hand and always wanted to work with wood. Taught the trade of wood-working by her father Carlos, a custom cabinet maker who owned his own business in Western Oregon, Barb’s creative path was established early. As a child, Barb spent countless days in her dad's cabinet shop and has been working with wood for most of her life. She enjoyed making furniture, crafts and most importantly loved to make signs! Barb ended up completing a design degree at Oregon State University yet originally moved into a career in Human Resources. After a decade of handcrafting signs for family and friends, Barb established Barb's Wood Signs in March of 2002. She started her company by doing home parties and now produces over 5,000 customs signs each year through direct sales and via one major national retail store. Barb grew up in Sherwood, where she resides with her three sons. Her home is filled with wonderful signs that reflect her personality, creativity, and love of life. An invitation to help out family friend Barb Agnew in September 2006, helped Kami Williams learn that she wanted to become an entrepreneur. This was a big departure from her original plan of heading to work at a large corporation after finishing her global marketing studies at Portland State University. Kami immediately witnessed Barb’s commitment to excellence and realized her passion to help build the company into an even larger, more successful operation. 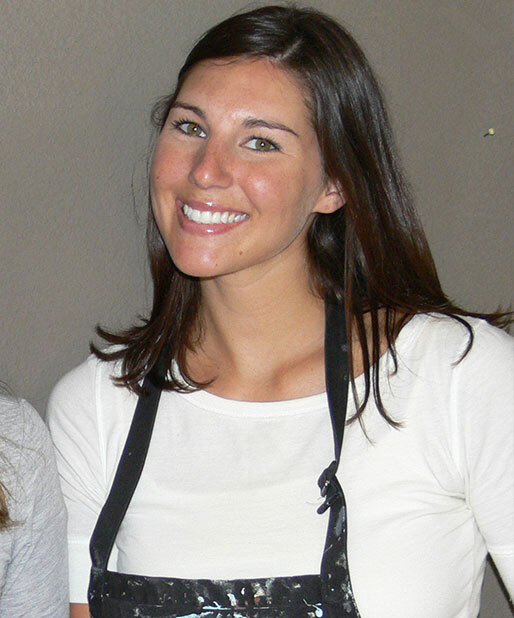 Kami brings her youthful energy, boundless creativity and desire for personal growth to Barb’s Wood Signs. 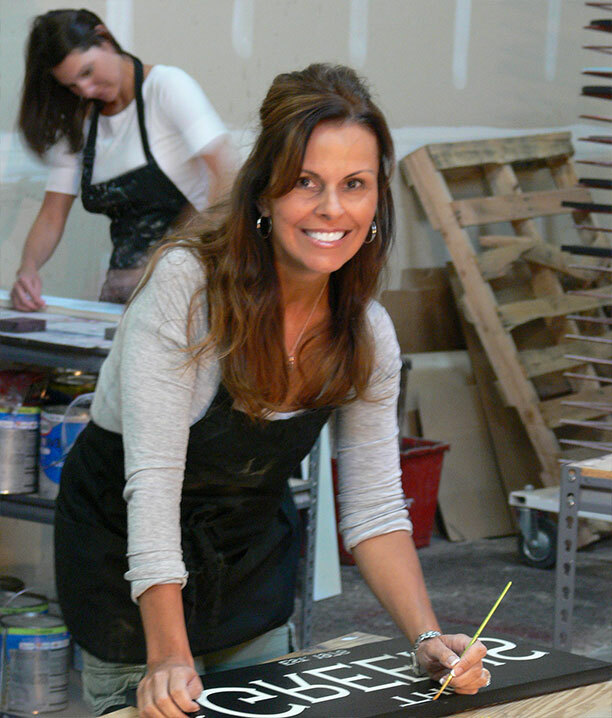 Kami is involved in every part of the process, especially making sure that every customer is completely satisfied with their personalized wood sign.